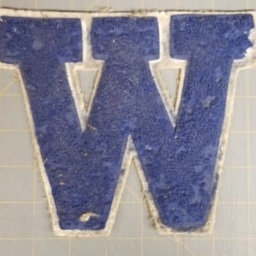 Varsity letter from the Woodstock High School. 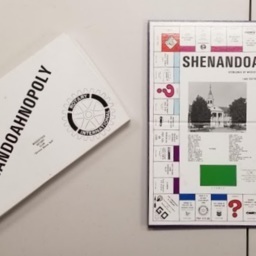 "Shenandoahopoly" Board game. 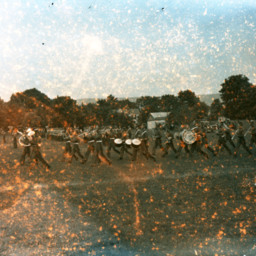 Produced in 1989 as a fundraiser for the Woodstock Virginia Rotary Club. 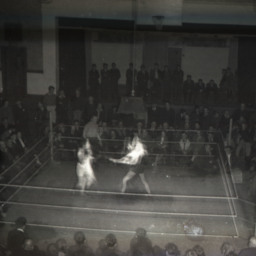 The places on the board bear the names of local businesses at the time. 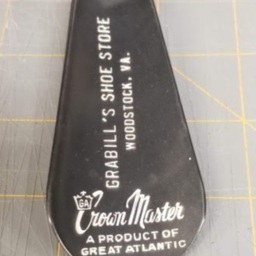 "Shoe horn" bearing an advertisement for "Grabill's Shoe Store" Woodstock Virginia. 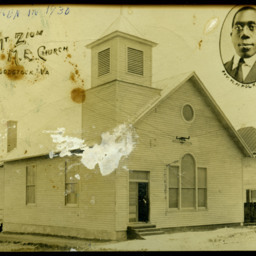 The items is also labeled "Crown Master: A Product of Great Atlantic." 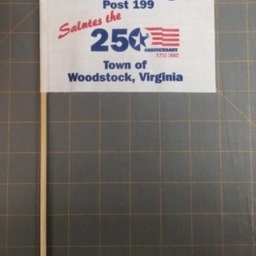 Small flag produced as part of festivities commemoration the 250th Anniversary of the founding of the town of Woodstock Virginia. 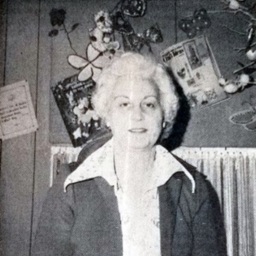 Kaye Shelton and her husband Les moved to Shenandoah County from Arlington County in 1973. 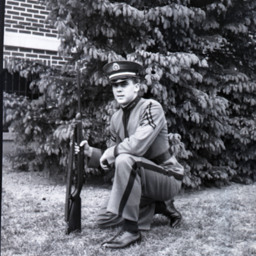 Prior to that, Kaye had worked for the Arlington County Police Department as their secretary for 27 years. 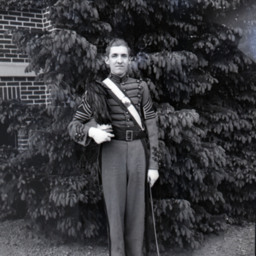 Co. A 2nd VA Regt. 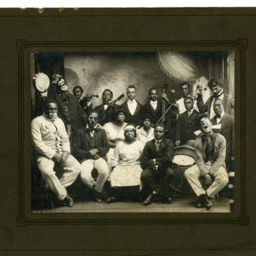 U.S. Vol. 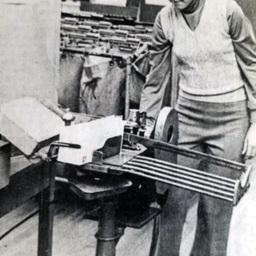 Inft. 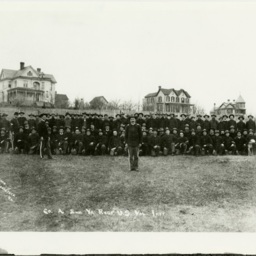 Photograph showing Company A of the 2nd Virginia Volunteer Regiment after returning from service during the Spanish American War. 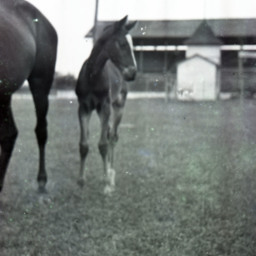 It is dated December 15, 1898 and was taken by Hugh Morrison. 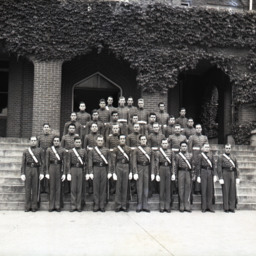 Photograph showing a group of Massanutten Military Academy (MMA) Cadets on the front steps of the school's Lantz Hall. 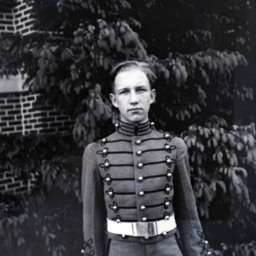 Photograph showing an unidentified Massanutten Military Academy (MMA) cadet. 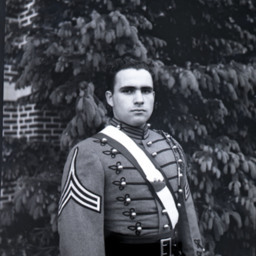 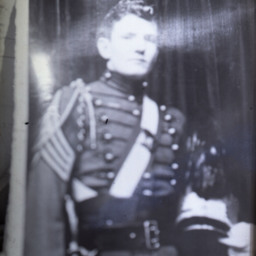 Photograph showing a previously developed photograph of an unidentified Massanutten Military Academy (MMA) cadet. 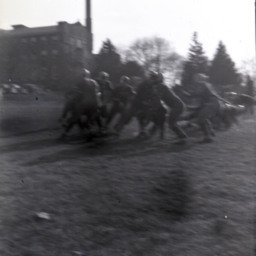 Photograph showing a football game at Massanutte Military Academy (MMA). 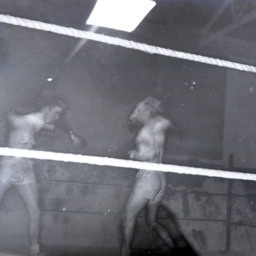 Photograph showing a boxing match inside the Woodstock High School gymnasium. 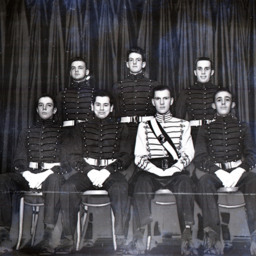 Photograph showing seven unidentified Massanutten Military Academy (MMA) Cadets. 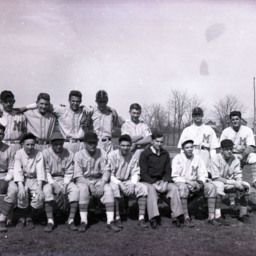 Photograph showing members of a Massanutten Military Academy (MMA) baseball team and their coach. 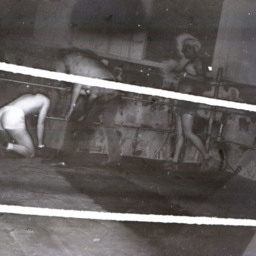 The players and coach are unidentified. 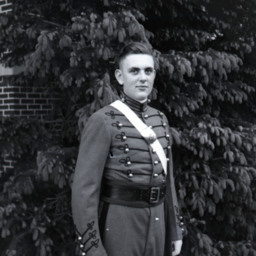 Photograph showing unidentified Massanutten Military Academy (MMA) Cadets on parade. 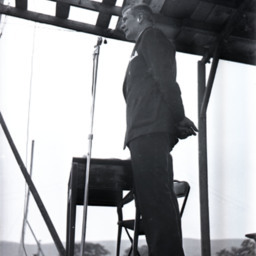 Photograph showing an unidentified man speaking at the Shenandoah County Fairgrounds.